Johns Hopkins University Press, 9780801890130, 310pp. This updated and revised edition of David Joyner's entertaining "hands-on" tour of group theory and abstract algebra brings life, levity, and practicality to the topics through mathematical toys. 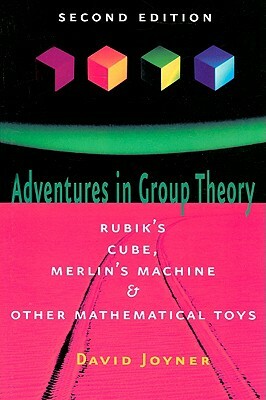 Joyner uses permutation puzzles such as the Rubik's Cube and its variants, the 15 puzzle, the Rainbow Masterball, Merlin's Machine, the Pyraminx, and the Skewb to explain the basics of introductory algebra and group theory. Subjects covered include the Cayley graphs, symmetries, isomorphisms, wreath products, free groups, and finite fields of group theory, as well as algebraic matrices, combinatorics, and permutations. David Joyner is a professor of mathematics at the U.S. Naval Academy. He is coauthor of Applied Abstract Algebra, also published by Johns Hopkins, and editor of Coding Theory and Cryptography: From Enigma and Geheimschreiber to Quantum Theory.